Because the thoracic spine is the sturdiest part of the spine, it is less prone to injury. That said, upper back pain, while less common than lower back pain, is often caused by irritation of the muscles or a problem with a joint. 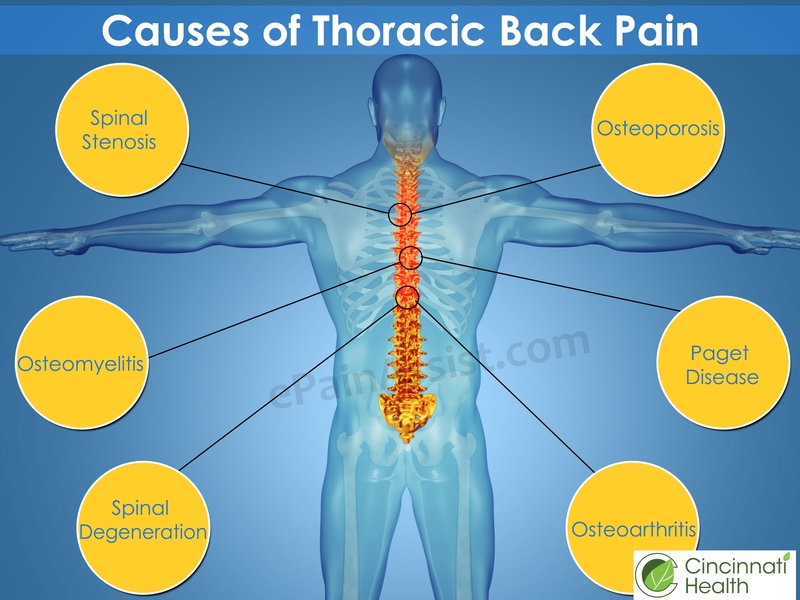 Other less common causes of upper back pain include herniated or degenerative disc.